The rest of the article is fairly interesting, focusing on how France can attract visitors for longer periods of time, i.e. more than a day or two for European visitors, and making itself more of an attraction for those overseas visitors who might just visit Paris for a day as a part of a larger tour, but there is still this persistent idea that France is full of surly waiters and generally unpleasant people. Are there surly waiters? Sure. But I could say the same of every country I’ve visited, and a number of restaurants in my hometown, too. 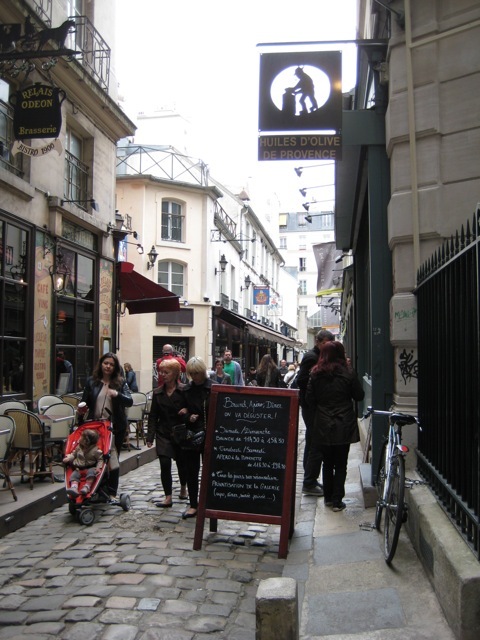 The only occurrence of surliness I witnessed during my ten days in Paris was an occasion where I think the waiter was entirely justified in his behaviour (however much one wants to argue that a waiter should always be the perfect model of manners, they are human too). In his case, a tourist had come into a café (I was there eating lunch), and once he was seated, proceeded to order his food and drink in a very pushy manner, with no courtesies, in English. Then, he demanded low-fat butter, and loudly complained about how slow the service was. Well, the service he received was absolutely glacial in speed due to his manner. Sitting nearby, I cringed in embarrassment, wishing that he could at least use ‘s’il vous plait’, or ‘merci’, or, in fact, any French at all. In the end, the tourist left disappointed, and the waiter was put out, though he still received a tip. The France I experienced was full of friendly people: the shopkeeper in the (somewhat touristy) shop attached to the Cafe de Flore, who chatted to me about jazz; the charming waitress in the restaurant in Chartres who was run off her feet serving the entire place, but still had a smile and a kind word; the staff of a lingerie shop who, when realizing my vocabulary didn’t extend to lacy dainties, communicated as best they could in English; the man on the metro who gave up his seat for my mother and gave us a friendly ‘Bonsoir'; and the post office employee who helped me figure out how much it would cost to send postcards to the UK and overseas. Actually, there were a lot more lovely people, and I’d say that even the fellows hawking souvenirs at the Eiffel Tower (and the courtyard in Versailles, and pretty much every ‘big’ tourist attraction we went by in Paris), were pretty nice. I only have two small pieces of advice on how to make the most of a trip to France: 1) learn a bit of very basic French, including courtesies (s’il vous plait, merci, bonjour, bonsoir, etc. 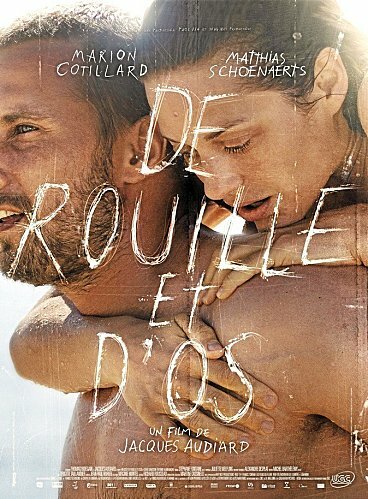 ), and 2) visit knowing that France is not like your hometown. Make the most of your new experiences, and enjoy the differences in culture. A bit of adventurousness can go a long way. And publisher Le French Book (who translated and published the excellent ‘The 7th Woman’, and ‘The Bleiberg Project’) has a special sweepstakes to celebrate the French national holiday. July 14 is Bastille Day in France, and Le French Book is celebrating. 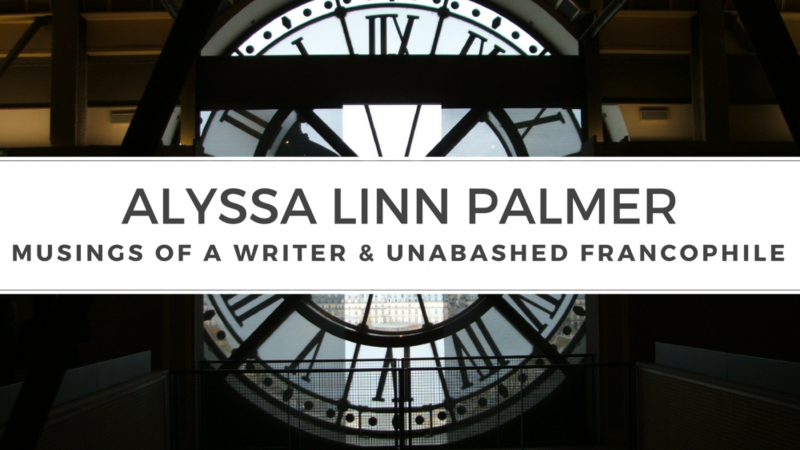 This ebook-first publisher focuses on fiction in translation from France, with a special emphasis on the country’s top-selling mysteries and thrillers. To mark the date, it is running Bastille Day Sweepstakes for an ereader and a number of summer ebook reads with a French flair. “With our focus on entertaining reads from France, we couldn’t miss out on this Bastille Day opportunity to share what we are doing with new readers,” says Anne Trager, the company’s founder. She started Le French Book with the goal of sharing what she loves about the Gallic nation and its fiction. The sweepstakes run from July 11 through July 14. Click here for a free Bastille Day short story by seven of France’s top writers. Bastille Day (or La Fête Nationale) commemorates the storming of the Bastille prison on 14 July 1789. 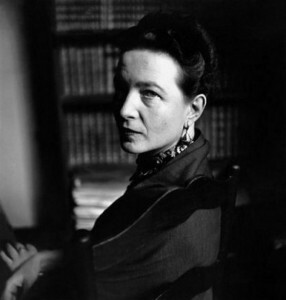 Read more about the holiday on Wikipedia. I’ve been sitting on this for a little while, waiting until I returned from my trip. 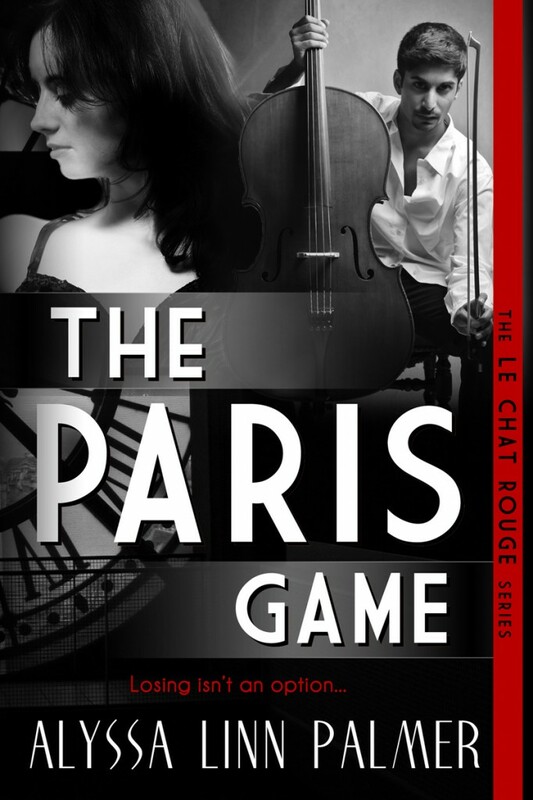 But now, I’m pleased to be able to show off the cover for my upcoming release, The Paris Game! It is the first in a new series, and I’ll be releasing a second book later this year. Or in French: la Fête Nationale. 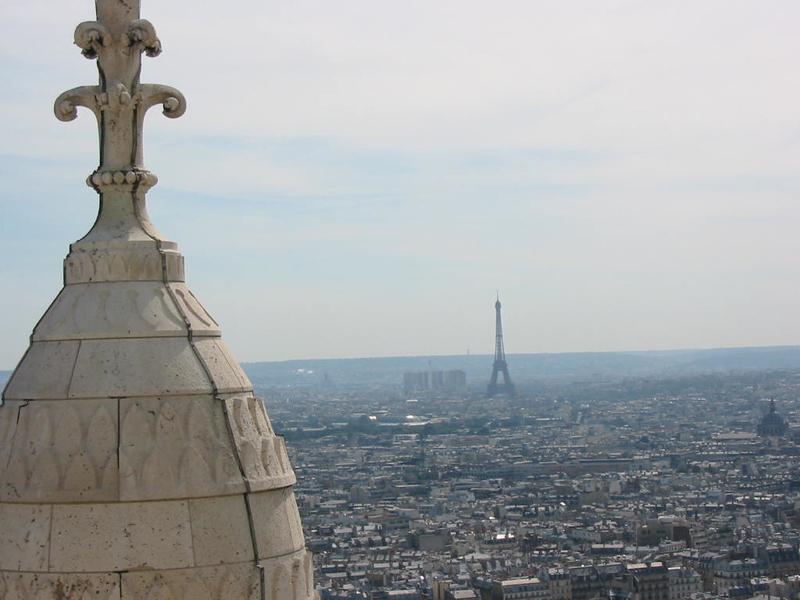 It commemorates the storming of the Bastille in 1789, which you may recall as the beginning of the French Revolution. After the Revolution, France became a republic. There are three ideals of the republic for all French citizens: liberty, fraternity, and equality. 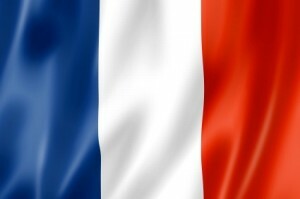 There are celebrations today all over France, and in many countries of the world. I don’t know of any in my local area, though several of the French restaurants in the city are promoting Bastille Day specials. More on Bastille Day at Wikipedia. After a very long lie-in, recovering from our night at Le Bilboquet, we spent the remainder of the day in gorgeous Montmartre. 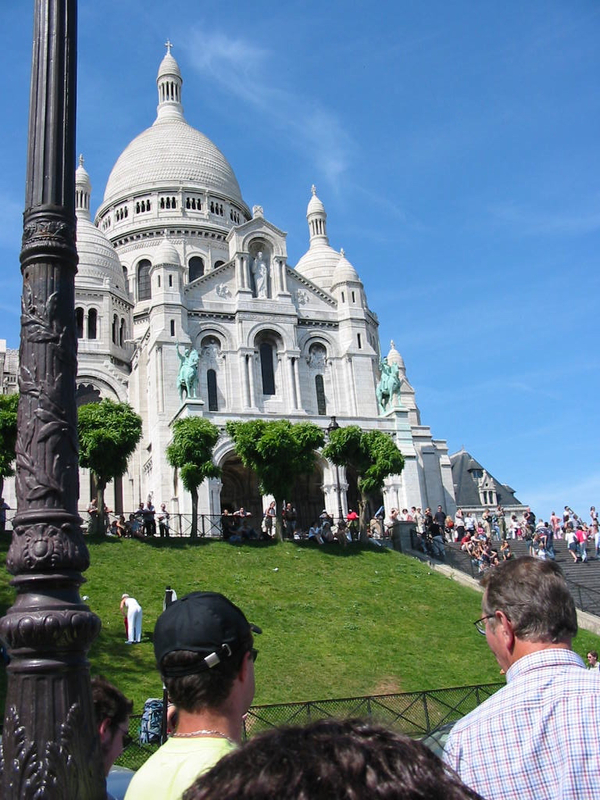 Aside from Notre Dame, Sacre Coeur was the most touristy of all the places I visited. You weren’t allowed to take photos inside the church, so instead I had to buy a postcard. The ceiling of the church is painted with Christ, and it’s incredible. Photos don’t do it justice. After our lengthy tour, we took a break at a small café. I had cider and a crêpe with Nutella, quite possibly my favourite meal ever. By this time, it was getting late, and we called it a day. 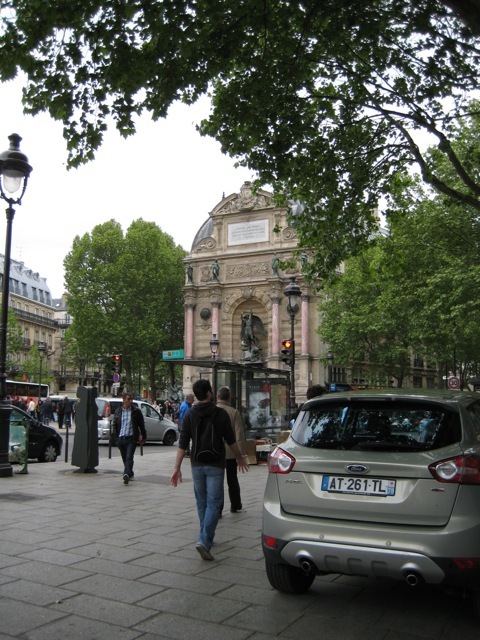 Our next day would be a big one, going out to the Chateau Vincennes. 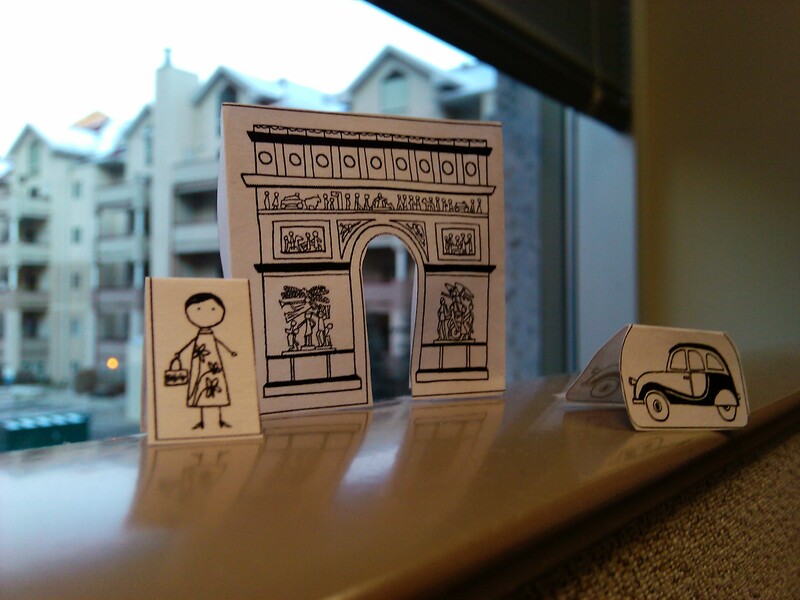 Found on boingboing, this is a fun little papercraft set to make anywhere into a miniature Paris. I used it to cheer up my cubicle at work. 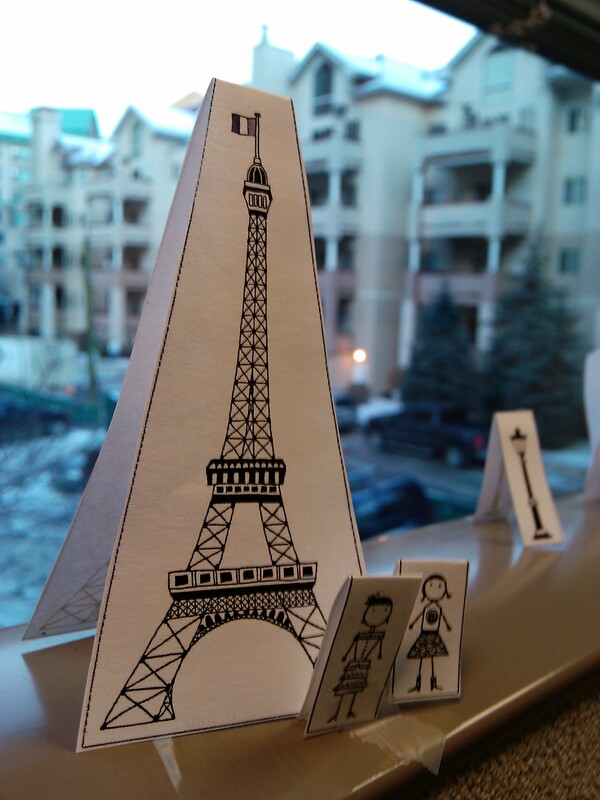 Now, instead of just looking out at the snow, I can look at the Tour Eiffel and Notre Dame.